A CL604 jet. Image via Commonwealth of Australia, Department of Defence. The political scandal gripping Australia has now thrown light on Barnaby Joyce’s use of defence force chartered flights. As the heat remains on embattled Deputy Prime Minister Barnaby Joyce for a cheating scandal with his staffer, parliamentary documents have revealed Joyce charged the taxpayer $6,000 for a "special purpose" Defence Force charter flight back to Tamworth following an overnight stay in Melbourne last year. The trip was cited as "official business" in his role as Deputy Prime Minister. The special purpose flight was taken on 14 May, Mother's Day. The Deputy PM declared he was a guest for the 13 May AFL Country Game between Geelong and Essendon at the MCG. This is not the first Defence Force charter flight taken by Joyce. Last year, BuzzFeed News revealed the Deputy PM charged taxpayers nearly $9,000 for Defence Force chartered flights in 2016. The first flight in 2016 on 8 May, from Canberra to Tamworth with no other passengers, cost $3,348. The second flight was Tamworth to Parkes for $2,930. The third RAAF flight was for Joyce and former senator Fiona Nash from Parkes to Canberra, costing $2,511. All up, the three RAAF flights cost the taxpayer $8,789. The Royal Australian Air Force has a fleet of three CL604 Challenger aircraft, which were introduced in 2002. They are part of the Special Purpose Aircraft fleet, operated by No. 34 Squadron from Defence Establishment Fairbairn in the ACT. The CL604 complements the larger Boeing Business Jets, also operated by No. 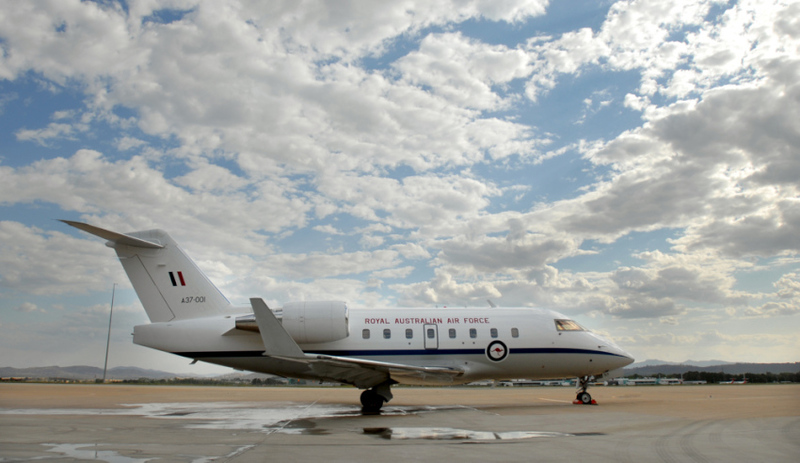 34 Squadron, which provide transport for the Australian government. It offers an adaptive and short-notice means of reaching constituents and wider communities, and can access regional airfields within Australia and the immediate Asia-Pacific region that are not possible via commercial aircraft.